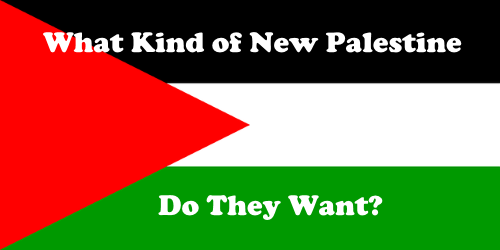 The Arabs who came to call themselves Palestinians should be thanking their lucky stars that they hitched their wagon to the myth that claims they are a “people”. It is true that they were, and remain, pawns of the pan-Arabists who seek to eliminate Israel from the map once more and forever after. However, by focusing on their victimhood, supposedly at the hands of Israel and the Jews, they miss seeing the wonderful opportunity that they have been given. As Lebanon has already become a shadow of its former self, as their “Palestinian” brethren suffer under apartheid in Jordan in spite of having citizenship, and as Syria and Iraq disintegrate before their very eyes, they should be pulling themselves up by the bootstraps and thanking Allah that they have been set free of the fate of their fellow Arabs in neighbouring countries. If these Arabs who now call themselves Palestinians want to follow in the footsteps of those who held that name before them, they would release themselves from the stranglehold of their leaders who are keeping them in Hell. They should let them rot in jail or make them flee for their lives to parts unknown. 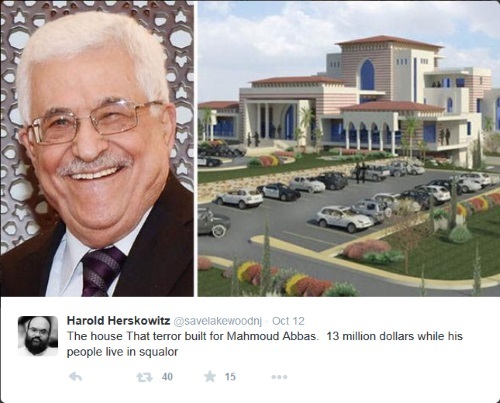 The New Palestinians would, of course, confiscate the obscene amounts of development funds donated by well meaning foreign do-gooders that was used to build billion dollar castles in the sand instead of infrastructure and institutions that would truly make their land flourish! They would put these funds aside until a national development plan will have been designed. It would be nice if they could also get back at least part of what Arafat siphoned off over the years. Next they would make sure that Shirley Temper and her friends all attend well-equipped classrooms and are taught a well-devised curriculum by well-trained teachers. Parents who prevent that would be charged with child maltreatment. By making sure kids get an education, they will help them build careers based, not on taunting IDF soldiers and throwing stones at cars, and more recently knifing other kids in the back, but on solid contributions to the society kids everywhere deserve. To build the kind of society that their kids deserve, the New Palestinians must be able to imagine that society — and the image will appear when adults stop seeing in their mind’s eye only the ashes of the society they seek to destroy. Excellent. The first step in going forward is to comprehend the possibility, and to visualize where this can lead. It is too sad, for too many generations, for so many people to be mired in the imagined past and to be stuck in the present in sticky webs of hate. “If you will it, it is no dream”–especially if the dream is a good one. Thanks for reading and leaving a message here, Elinore. If they can dream something that doesn’t depend upon eradicating Israel, there will be a chance. Next story Hey You! Palestinian Arab! Want to Build a Country?